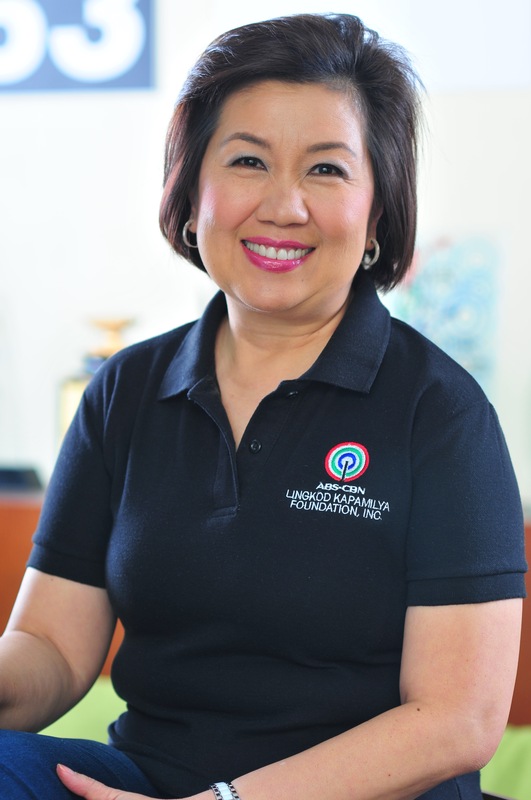 Taking on the challenge of cleaning the Pasig River back in 2009 brought with it one of the biggest hurdles the ABS-CBN Foundation had to face in the line of public service - the task of relocating thousands of informal settlers along the river banks. The river was toxic, with families discarding domestic and human waste directly to the water for decades. Considered as danger zones, no family should ever live there. The best option for the foundation's relocation efforts was Calauan, Laguna where 800 existing housing units of the National Housing Authority (NHA) may be rehabilitated. The units were renovated and with the help of public donations new houses were constructed by Habitat for Humanity which were able to accommodate the influx of relocatees as the rehabilitation of the river progressed. With an initial 10 families, the houses were occupied one after the other, with the ABS-CBN Foundation providing food and personal supplies to the families to help them settle in their new homes. The community came to be known as BayaniJuan sa Southville 7 or BNJ. BNJ was formed to complement the efforts of Kapit Bisig Para saIlog Pasig (KBPIP). The two programs' goal is to restore dignity among people and nature. Ondoy caught everyone by surprise, and even BNJ was caught off guard when the need for NHA to relocate thousands of families from Marikina, Manila and Pasig to Calauan confronted it. BNJ was only prepared for relocatees from the esteros, but since the resettlement site is owned by the government , it had to open its doors to more than 3,000 new relocatees despite the limited resources. Today, the community is thriving. A work in progress, BNJ is not spared from the challenges confronted by resettlement sites. However, efforts to provide the comforts of communal facilities continue. Electrification is ongoing as the Department of Energy provided P40M to Meralco for electrification - for service posts, transformers and the like; a grant from the Asian Development Bank (ADB) on the other hand enabled the retrofitting of houses for electrification. Currently 469 houses and 2 community centers have been energized, while another 570 homes have ongoing applications.By the end of the year, approximately 2,000 houses and 2 additional community centers would have been energized. Currently there are 192 solar streetlights funded through the President's Social Fund, donations from Sunlife Foundation and ADB will add another 48 units. As BNJ gets connected to the main grid, it has started to put up electric streetlights maintained by the barangay. To date, there are 192 shallow wells and 8 community faucets all around the resettlement site. There are 2 refilling stations, 2 rainwater harvesting facilities, and one water cooperative. The NHA has also allowed a provider to operate level 3 connections in Site 3. The LGU of Calauan also has plans of putting up a water distribution system with the help of the Department of Health. TESDA and various NGO partner foundations, have provided skills and livelihood training in the community. Currently, BayaniJuan provides some job opportunities like sewing of denim bags, production of salted eggs, agriculture and food micro-enterprises, jobs in landscaping, construction and maintenance. Livelihood grants and working capital have been provided to residents, and the ADB grant will allow for these enterprises to be scaled up.The Lopez Group has built livelihood and training centers, among other major facilities. Three new school buildings donated by the City of Pasig have been completed. The DepEd has already started operations in at least one building, and will be opening the rest in June 2013. Students from the OML Dayap Elementary School which started operations in 2010, have been winning academic and sports competitions in Laguna. A public market was given by DMCI, a health clinic by SM Foundation, community center by the Prime Minister of Bahrain through Sagip Kapamilya, and a material recovery facility funded by UBS are also fully operational - all donated by the private sector. The Lopez Group has rebuilt the school, put up livelihood and training centers, set up tree parks and is supporting in every way it can - from buying the merchandise produced by the residents of BNJ to providing a stall in Rockwell to serve as an outlet for agricultural produce. The Legacy of Light Village, comprised of 115 Panibahay homes is a continuing commitment of Sunlife Foundation which brings with it the involvement of its employees in medical missions, financial literacy programs, scholarships and other similar support systems to ease the transition of relocation. To date, eleven Homeowners Associations have been organized for self-governance and have provided the channel for the resident's participation in community building and decision-making. The HOAs police their own neighborhood, complementing the efforts of the Calauan Police and the AFP. Apart from these accomplishments, equally important issues were addressed by BNJ. One has only to visit Estero de San Miguel , Estero UliUli, Estero de Paco and all the other esteros that are now transformed as a result of the relocation. There is also a renewed sense of accountability among those living near the esteros as they voluntarily patrol and clean their areas. BayaniJuan pools together the efforts of public and private sector in the spirit of bayanihan to build a good community where future generations can thrive. It is gratified and strengthened by the support it has gathered for the sake of the thousands of families who despite the challenges they face are given an opportunity that is far more humane and dignified than what they had along the banks of a dead river. Ultimately, it is up to each one to make the most of the opportunities available and help oneself to better one's condition. With every Juan's help, Bayanijuan will one day be the dream resettlement community it aspires to be.